So you've written down your resolutions for 2015. And, high up near the top of the list, reads: “TRAVEL MORE.” Maybe you've even underlined it a few times — that's how much you want to see the world and have adventures. It's a great goal, of course; travel teaches us so much more about human nature and the world that we could ever hope to learn from books or TV. But sometimes achieving that goal is tricky. We want to travel, but we wait and wait (sometimes forever) for someone else to be able to travel with us. Finances, jobs, family commitments, and all manner of other things always seem to get in the way. Well, NOT in 2015, ladies. Make 2015 the year of solo travel! I've been traveling the world pretty consistently for the past 4-5 years, and I do the majority of my travel solo. Is this because I'm anti-social and hate the company of others? Of course not! I'm just not willing to waste time waiting. I want to travel NOW, so I travel on my own. Solo travel can be awesome — you gain confidence, worldly know-how, and some seriously sweet stories to take home. So, when Expedia asked me to collaborate with them to share some of my suggestions on where to go in 2015, I was happy to oblige. If you follow my blog regularly, you already know that I am in love (okay, a little obsessed with) New Zealand. The Land of the Long White Cloud is “The One” for me — the one country that I will keep returning to, time and time again, because I love it so much. I love the landscapes, the laid-back cultural vibe, and the wide range of adventure activities to enjoy. 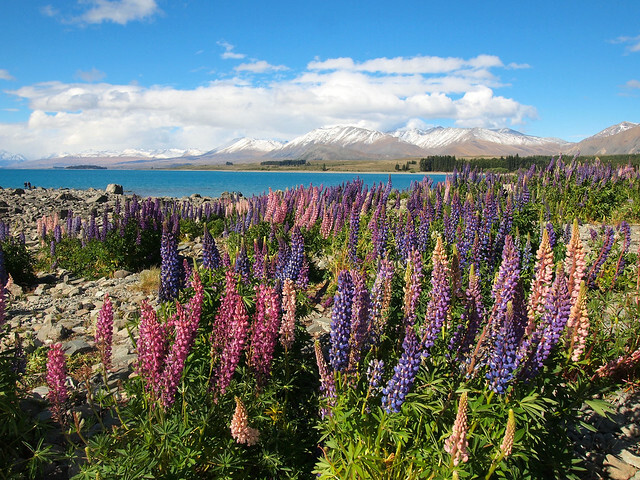 Why it's great for solo travel: New Zealand is BUILT for solo travel. It's safe, easy to get around, and filled with so many amazing landscapes and activities that you won't ever have to worry about getting bored. It's also filled with great hostels, which can be perfect places to stay if you're young and want to meet other travelers. Oh how I love Scotland! Yes, it can be quite wet and chilly (even in the summer), but it's gorgeous no matter what the weather is like. When I think of Scotland, I think of green hills and castles. And who doesn't like those two things? Some of my favorite places in Scotland: Edinburgh (all of it! ); the Highlands; and especially the Isle of Skye. 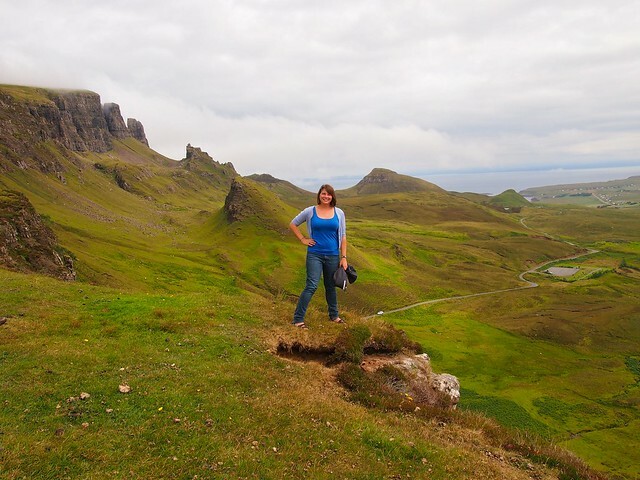 Why it's great for solo travel: Scotland is another very safe country — you don't really have to worry about going anywhere on your own. It's also a fairly small country, making it easy to explore. And, even though the accents might throw you, everyone speaks English here! 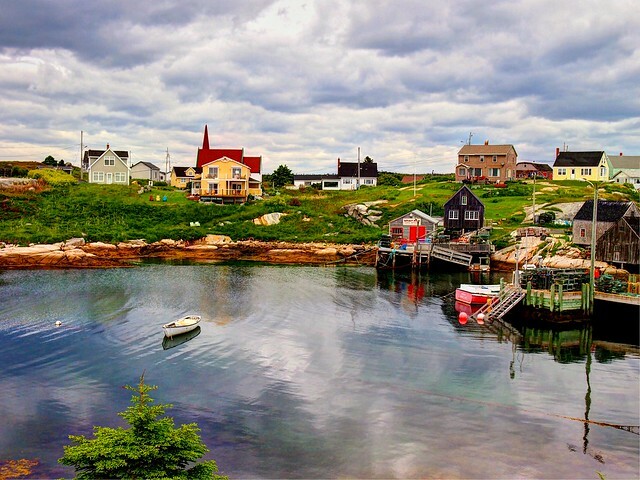 Most people tend to lump Canada in with the U.S. when talking about travel destinations, but Canada is definitely unique in its own right, and has a LOT to offer any type of traveler. Some of my favorite places in Canada: Toronto; Canada's capital city of Ottawa (go for the Tulip Festival! ); Banff National Park (Alberta is awesome); the coastal parts, like in Nova Scotia; Vancouver; and the pretty city of Victoria. Why it's great for solo travel: Again, it's safe and the people are friendly. It's also pretty easy to get around — consider taking the train across the entire country! Very similar to Scotland, I also love Ireland a lot. The land of Guinness and leprechauns is a favorite for a lot of travelers, which definitely says something about the country as a whole. I've been to Ireland three times now, and will certainly be back again. Some of my favorite places in Ireland: Dublin; the Dingle Peninsula; the Cliffs of Moher; the Aran Islands; and Glendalough in County Wicklow. 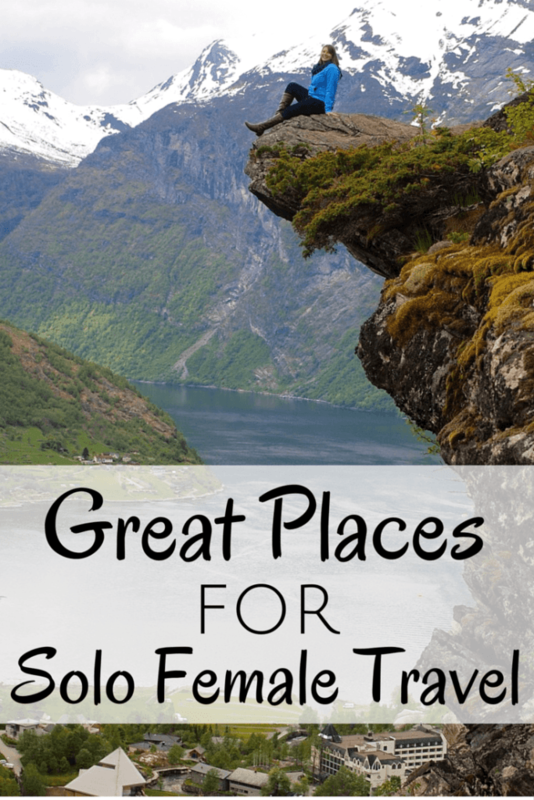 Why it's great for solo travel: Like the other countries on this list so far, Ireland is safe. You can go just about anywhere as a woman on your own and not have to worry about your safety. It's also easy to do day trips from Dublin if you're more comfortable exploring from a home base. Before you go saying, “Wait, where's Slovenia?,” I'll tell you that it's a small country surrounded by Croatia, Hungary, Austria, and Italy. It's incredibly overlooked by most travelers to Europe, but that's part of the reason why I love it so much. It has a small population, and a small number of annual tourists — meaning it's pretty cities are rarely overcrowded. Some of my favorite places in Slovenia: Lake Bled; the capital of Ljubljana; Postojna Cave; and Triglav National Park. Why it's great for solo travel: As I mentioned before, Slovenia isn't super-touristy, making it a really laid-back place to visit on your own. It's also (can you guess?) quite safe, and well-connected to most major cities in Europe either by train or budget airline. Oh, Iceland. This country halfway between North America and Europe is definitely in my top five favorite places on the planet. Its landscapes are almost other-worldly, it's in the perfect position to see some amazing Northern Lights in the winter, it has adorably fluffy horses, and people here legit believe in elves. Like, for real. It also has more waterfalls and volcanoes and glaciers than you can shake a stick at. Some of my favorite places in Iceland: Reykjavik; the Snaefellsnes Peninsula; Jokulsarlon; and ALL the waterfalls along the South Shore. 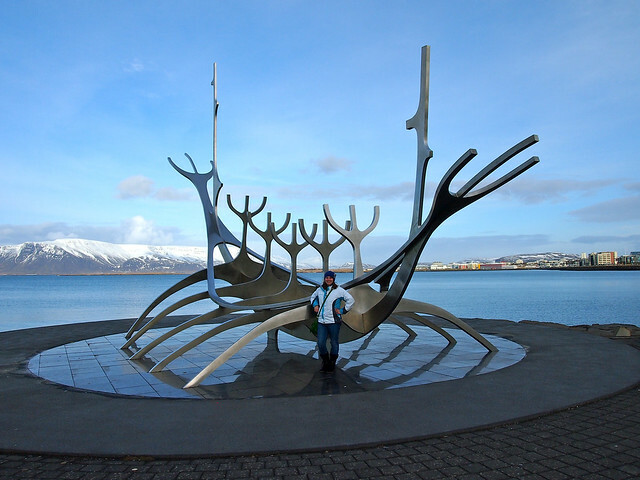 Why it's great for solo travel: There's basically no crime in Iceland, so, again, a very safe place to visit. And, even though you pretty much have no hope of pronouncing any Icelandic words, the great news is that almost everyone here also speaks perfect English! It's also another country where taking day trips from the capital (Reykjavik) is very easy if you don't want to rent a car on your own. Lastly, I felt like Asia deserved to be represented on this list. It's not always the first place people think of when they think solo travel, but believe it or not it IS a good option! Thailand would be my pick because it's firmly on the Southeast Asia backpacker trail (meaning tons of fellow travelers to meet) and the tourism infrastructure is quite good. It also has a good variety of places to visit, from the jungle to beaches. Some of my favorite places in Thailand: Bangkok (though not for too long); Elephant Nature Park; Chiang Mai; the Railay beaches; and the island of Koh Lanta. 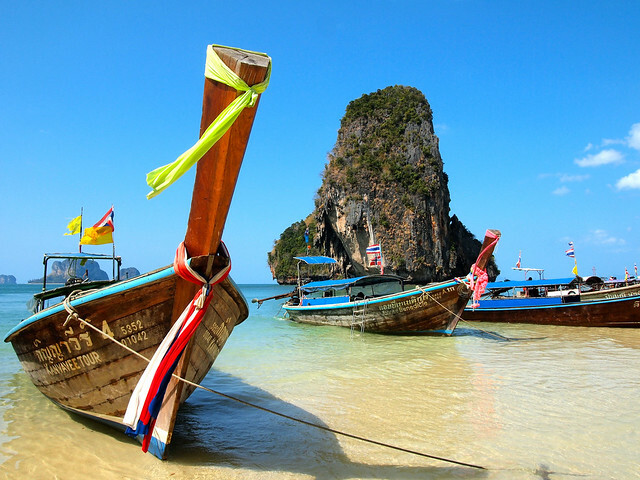 Why it's great for solo travel: There are SO many travelers in Thailand all the time. Meaning if you don't want to be on your own you probably don't have to be. Book some day tours, or stay in hostels so you can pick up travel buddies along the way. Thailand is also pretty cheap, which is helpful if you don't have someone to split costs with! What are some other places YOU would suggest for solo travel this year? All great suggests! I would also include Australia, USA (which is surprisingly diverse and interesting!) and other Southeast Asian hits like Cambodia, Vietnam, Laos and Bali. Australia is great, too, but I figured it’s pretty similar to NZ – I feel like it’s much easier to get around NZ on your own! As for other Southeast Asian countries… I feel like some could easily put you off if it was one of your first solo trips abroad! The culture shock in a country like, Cambodia, can hit pretty hard. BUT, SEA is definitely great for solo travel! that’s a good list. I think China is a great place to travel as a woman, I actually think I get treated better then the dudes do when I travel, people are extremely protective of me. There are a lot of frustrating things that happen here, but its rarely unsafe. That’s great to know, Rebekah! China came as a bit of culture shock to me, but you’re right – I felt pretty safe there as a woman! Yes, I love the dragon bridge there! YAY Canada, so great to see it on here 😉 I live pretty close to Banff, and can attest to its beauty and the friendly people! I really enjoyed Germany from Munich to the Black Forest, and found it to be one of the easiest and safest countries to travel around with super friendly people as well. Great list, cannot wait to visit some of these destinations in 2015. I went to Banff for the first time last year, and it was amaaaaazing. I was actually considering adding Germany to this list, but I’ve really only spent time in Berlin, so I can’t speak about the whole country. But I would imagine it would be another great solo spot! You should definitely go to Slovenia! It’s such a beautiful country, and yet so many people skip it! hello thanks for sharing this…I’m thinking about a solo travel to Thailand next year …and I’m so glad to see that many bloggers/travelers are recommending Thailand- Bangkok etc. as a safe place for solo female travelers and as a great place for adventures as well!! So looking forward to discover it by myself next year!! I’m not a solo female traveller but a traveller with children (which presents it’s own challenges). We’re on country #7 of our RTW trip and have talked to many solo female travellers in the countries we’ve been to. I would recommend Cambodia, Sri Lanka and Ethiopia for friendly, safe countries with amazing culture and sights to see. Thanks for those suggestions, Michelle! I definitely give you credit for traveling with children – it’s not easy! But your kids will learn so much! Really? Is Sri Lanka safe for women travelling alone? I really wanna go there but i’m a little afraid. Where have you been there? tks a lot for any tip! Thanks for all the suggestions! Especially Thailand. I feel safe and confident traveling all over Europe by myself but have never been to Asia. I’m starting to think the first trip will be a solo one so this recommendation is particularly perfect for me! Thailand is a pretty good place to start in Southeast Asia. It’s got pretty good tourism infrastructure, and there are always lots of other solo travelers there, too, which always makes me feel better. I also did Southeast Asia as my first solo trip, starting in Thailand. It was a great place to go! Oh yes, New Zealand should definitely be high on your list!! Awesome list! Planning on hitting Thailand and Iceland this year, and I’ve been to Canada before…all solo. I definitely think your list could use some South America love – I’ve been to Brazil, Argentina, and Chile, and they were all super solo female-friendly and extremely fun to travel to! Ushuaia in Argentina is amazing and very safe! Its a bit chilly (Southern most city in the world), but lots to see and do. Also a port from which to hit Antarctica! Would definitely love to get there someday! A great list. I’ve been to all the above places solo except for Iceland, Canada, New Zealand & Slovenia, and that’s only because I haven’t been to those countries at all yet! 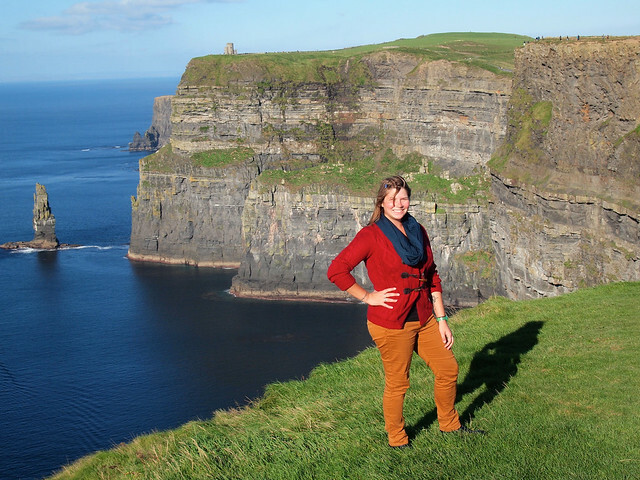 Solo travel is an important journey for young women and I heartily recommend it for all. Where’s safe to travel solo? All of Europe, Canada, New Zealand, and Australia, I’m not sure about certain parts of the US but definitely the East Coast and the West Coast, all the South East Asian countries, and if you keep your wits about you, North Africa and the Asian subcontinent. I am really smitten about New Zealand. Want to see the natural beauty and the wilderness of the place in this lifetime. Hope I get to do that soon!! I hope you do, too, Arti! New Zealand is definitely a special place. New Zealand is definitely a popular solo travel spot! Glad that so many people agree! I agree with all these locations and I would also add Japan to the list. Extremly safe, mind blowing and not as expensive as it was once used to be. That’s great to hear! I would love to visit Japan. I’m going to four of these places this year and I simply cannot wait. 🙂 I’m rather nervous about Scotland though…the dollar to pound conversion rate is awful hahaha Anyway, thanks for writing this! p.s. Elephant Nature Park really is amazing. I can’t wait to return there! Yes, watch out for that British pound! It can definitely leave a dent in your wallet! Hello, thanks for sharing this. I haven’t traveled solo but I love your list! I’d love to visit Bangkok soon since it’s the closest from where I am. Lovely photos Akatuki! I am travelling to the USA September this year and have been told to take extra care. Shame as there are so many safe countries. As you are from the US, perhaps you would let me have your thoughts. I fly into San Francisco, will rent a car and drive down the coast to LA/San Diego. Then to Las Vegas and Grand Canyon. I need to end up in Chicago by early November but don’t want to drive there, so perhaps Amtrak. What do you think? I wouldn’t worry too much – I don’t think the US is any more or less dangerous that other countries like the UK or Canada for tourists. It of course depends on where you’re going, but if you stick to touristy spots and don’t do anything stupid, you should be fine! If you’ll be driving a rental car, I would just advise you to keep everything in the trunk (boot) of the car instead of the backseat. Basically, don’t leave anything out in the open that might tempt someone to break into your car. As far as getting to Chicago… I would compare prices. Amtrak can be quite slow and expensive – it might actually be more economical to just fly! this list has been very helpful! I have a favour to ask, do you have any tips on reassuring worried parents that traveling as a solo female isn’t all that dangerous nowadays. Struggling to convince a very apprehensive father that I won’t stumble into a real life version of the film ‘Taken’. I’m planning on going to Australia and will be staying with family a lot of my time there, however I do want to stay in Hostels so that I can meet fellow travellers and perhaps travel onwards with them, but my Dad is convinced lots of bad things will happen if I stay in Hostels. Can you recommend any other blogs by solo female travellers that I can get some more success stories from? Thanks a bunch for this list, I’m definitely planning on heading to NZ and SEA at some point in the future! Also glad to see Scotland is on this list, as I’m a proud Scot myself, and agree that it is a very safe and extremely beautiful country to travel. I recommend Oban (my hometown) to anyone who’s considering Scotland as a future destination! There are TONS of blogs out there written by women who usually travel solo. Some of my favorites are Adventurous Kate, Young Adventuress, Alex in Wanderland, and Twenty-Something Travel. Australia is an extremely safe place to travel solo, too. There are always lots of young travelers, so even if you’re staying in hostels you’re never *really* alone. I’ve written other posts about solo female travel on my site, too – just do a quick search and you can find some other things I’ve written on the subject! Honestly I haven’t had problems traveling anywhere in Europe solo! But I know language barriers freak a lot of people out, so I tried to stick to places that are really easy to navigate when you only speak English! As for highlights of places to see… well, that’s more or less what my whole site is about! Check out my Destinations page (https://akatuki5.info/destinations/) to see where I’ve been! 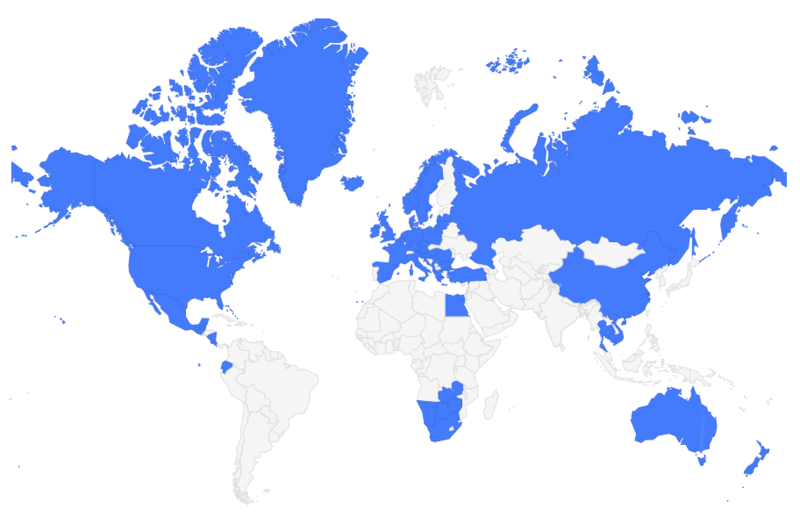 If you click on a specific country, you’ll see all the posts I’ve written about it. *Some* posts include info on getting around, but obviously that info changes from place to place! PERFECT! I am now thinking I NEED to go to Iceland. Thanks for the link! That’s awesome to hear, Shirley! And good for you!! You’re so right, too – often all you have to do is ask for help, and you’ll get it! I have been to England, Scotland, Wales, Finland, Italy, Japan, Quebec, Toronto, New Brunswick and close to 40 of the US states…all by myself. Just be street savvy, learn something of the culture and language and walk confidently. You’ll have no problems! Thinking about my next trip! Great post! You’ve definitely given me some ideas as to where to travel solo! Just a little note though, Toronto is not the capital city of Ottawa. Toronto & Ottawa are both cities in Ontario (the Province, or ‘State’ as some would call it). Toronto is the capital city of Ontario, and Ottawa is the national capital city of Canada. The Canadian, Toronto born girl. Great topic! I wanted to note that in my experience South America was a very welcoming and accessible place for a solo female traveler. I took buses across Argentina and Chile, which was definitely the most rewarding and affordable transportation I’ve ever used. During that time I camped on farms, stayed in hostels or hotels and never once had trouble. A taxi driver in Northern Chile was concerned about me travelling solo, but he was also a very sweet old soul I was lucky to meet. Great to hear, Heather! I haven’t traveled to South America yet, so unfortunately I don’t have any personal experience to speak of there. mg u have rly nice photos. Can u link your camera please? Thanks. I have this camera: with the 12-40mm Pro lens. I just found this site and loved reading the comments! I have travelled solo before and considering doing a 2-3 week trip this year and was considering Brazil. I did see someone said they found it friendly with is great. I want to go on my own, but would also like to have a blend of a tour or place to sometimes anchor on, but not one that has an itinerary packed full every day. Do any of you know any companies like that? I am not sure I described very well what I am looking for. Hmm, well, I’m a fan of traveling with Intrepid Travel, but I don’t know what kind of tours they have in Brazil. Maybe you could pick a couple cities you want to visit and then go on some day tours? That way you might hit that ideal mix that you’re looking for. Hi, just want to share my views as female solo traveller. By the way, thanks for posting about NZ (my home country). I think one Southeast Asian country which has been missed from the list but is easy to get around and extremely safe is Singapore. I currently live in Singapore. Granted it is very expensive – that is to say on par with the Western countries. English is one of the main languages here, the currency is in dollars, and the public transport system is fantastic!! Eating at hawker centre’s can cost anywhere from SGD$2.50 and up for a meal. There are loads of Western expats here and lots of tourists at any given time of the year. Batam and Bintan (Indonesia) are a 45min ferry ride away, and Malaysia is a 7min bus ride across the causeway. I also want to mention Malacca in Malaysia as being a fabulous place to visit. Its safe, it has a great vibe and its easy to walk everywhere as its flat. For the slightly more adventurous I would recommend Ho Chi Minh in Vietnam. Its wild and crazy and lots of fun!! I went on motorbike tours almost everyday, met some great people and saw some amazing sights. For a slightly more laid back holiday, try Da Nang. Again I was out on motorbike tours most days. The Han River is beautiful with all the bridges lit up at night, especially the dragon bridge which shoots flames out its mouth on Saturday/Sunday nights. Sabah (Borneo) is great for wildlife but the tours are expensive. Kota Kinabalu is great for shopping at their huge handicraft markets where I picked up several handmade pearl pandora style bracelets for cheap gifts. Brunei was also amazing. Thanks for the comment and suggestions, Kellee!! Japan is expensive, but very safe. The public transport is the best. I felt safe everywhere day and night. There is so much to see-beautiful scenery, great shopping, temples. Get to some of the other, less populated islands like Shikoko or Hokkaido too. Great to hear it, Rae! Japan is definitely somewhere I plan to visit. Thanks for all the recommended places. I’m used to traveling by myself for work and have never backed down exploring the various locations I’ve been to. I would definitely recommend Vancouver, BC as a great destination. Very walkable and safe. I was thinking about treating myself to a solo trip to Ireland. Any recommendations regarding lodging in Dublin? Ah yes, Vancouver is great! As for Dublin, there are lots of cool boutique hotels, and I’ve also rented Airbnb apartments there, too. I don’t really have any favorites, though. I’ve been to NZ twice, but am returning soon and my traveling buddy cannot accompany me. The problem is I want to hike some of those epic hikes for my 50th… multi day hikes, like Milford Track or one of the 2-3 day hikes in the mountains. In your opinion, are these safe for women traveling alone, too? The idea of canceling my trip because my friend cannot go is killing me, but I cannot afford a second ticket for the hubby or one of my kids, whose schedules won’t let them go anyway. Thoughts on this??? I haven’t personally done any of the multi-day hikes in New Zealand, but I know other women who have with no issues. The good thing about hiking some of those “Great Walks” is that you have to get a permit to do them and book accommodation at designated huts – meaning someone will know where you’re supposed to be. I’d say it’s quite safe to do on your own! Thanks for the reply, Akatuki. So any of the designated “Great Walks” require a permit through the DOC I’m assuming. Do they have offices at the beginning and ends of trailheads? I’ll do some research to figure it out but any help would be appreciated. I know in the States I’d NEVER do a long one day or multi-day hike alone. Maybe I’ve seen too many episodes of Dateline ID and Forensic Files but murders and abductions to happen… no so in NZ I suppose. Or I hope. New Zealand is a very safe country, and the popular hiking trails are usually not empty – in fact, you may not end up hiking solo at all! Some of the popular hikes (like the Milford Track) require you to book your hike/permit dates pretty far in advance – so make sure to look into the hikes you’re interested in doing well before you plan to go! Some of them do fill up during high season. Thank you so much for the reply, Akatuki. I’m not going to let traveling solo stop me! I travel alone all throughout the US so why should this be different? Thanks again! As a Kiwi, I am telling you, you have more to be worried about getting lost in rugged terrain than you do of anything else. So often we have tourists come over who enter the bush ill prepared and get lost (occasionally injured) and waste the time, money and resources of our search teams who have to spend hours/days searching and rescuing them. So my advice is to make sure you go hiking very well prepared. Often tourists underestimate much of our beautiful wilderness and find themselves in trouble because they get lost. Temperatures plummet overnight in the bush and it can get very cold. Please be a safe traveller, inform the right people of your intentions of where you are hiking to and expected arrival times etc. Leave only your footprints behind and shoot lots of great pics. Most of all, have a great time ? Thanks Kellee, I appreciate it. I definitely am a planner so I’ll be familiar with the tracks, I hope. Thanks again! Love this list – would really like to explore south east Asia. Heard so many great things about Thailand, but also about Vietnam. Heard loads of people say it’s even more incredible than Thailand, so would love to go and explore them both to find out! Though I’d also add Australia to this list. Lived there for a year and absolutely fell in love with the country. Vietnam is really great, too, though it’s not quite as “easy” to travel in as Thailand (I wouldn’t recommend it for a very first solo trip, for example). But Australia is definitely another good suggestion! Fantastic article with amazing tips. My little sister, Anii is currently backpacking in Indian Himalayas and she would love to read did as much as I did. Thanks for sharing! The photography on your site is stunning! Do you use a mix your own photos and stock images? Very happy to see Iceland and Slovenia make your list. I lived in Iceland for several years. Incredible experience! And I am headed to Slovenia in a few months! Thanks for the inspiration. I’d love for you to check out my site. 99% of the photos on my site are my own. 🙂 The ones that aren’t are always marked, but I really don’t like using stock or Creative Commons photos! It all depends on where you are in any given country – the ones you mentioned can actually get really busy (in certain parts) during the high season! But they’re also all very safe countries overall, which helps a lot.